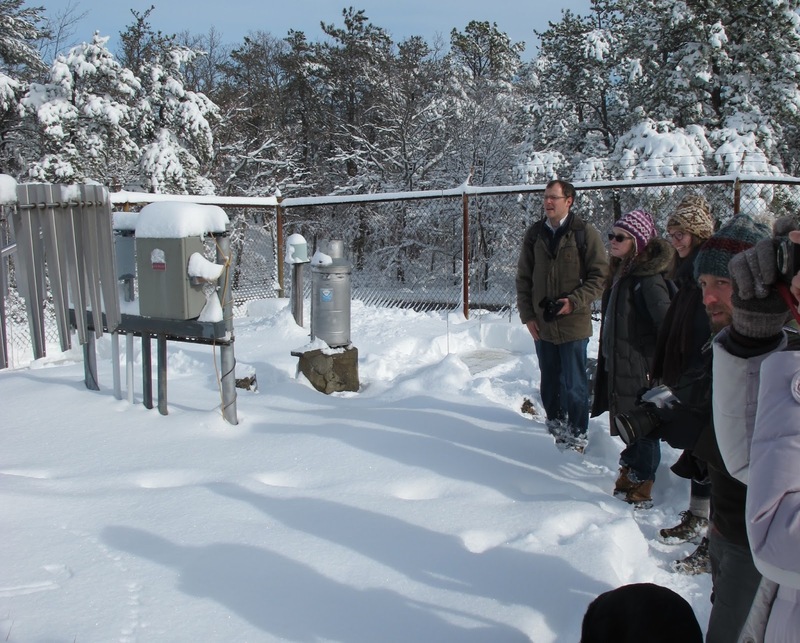 On February 6, the Boston University Biogeosciences Program had a field trip to the Blue Hill Observatory, the longest running weather station in the United States. The Observatory was established in 1884 on a hill 10 miles south of Boston. We often use data from the Observatory in our research to determine if long-term phenological patterns are affected by temperature and rainfall. 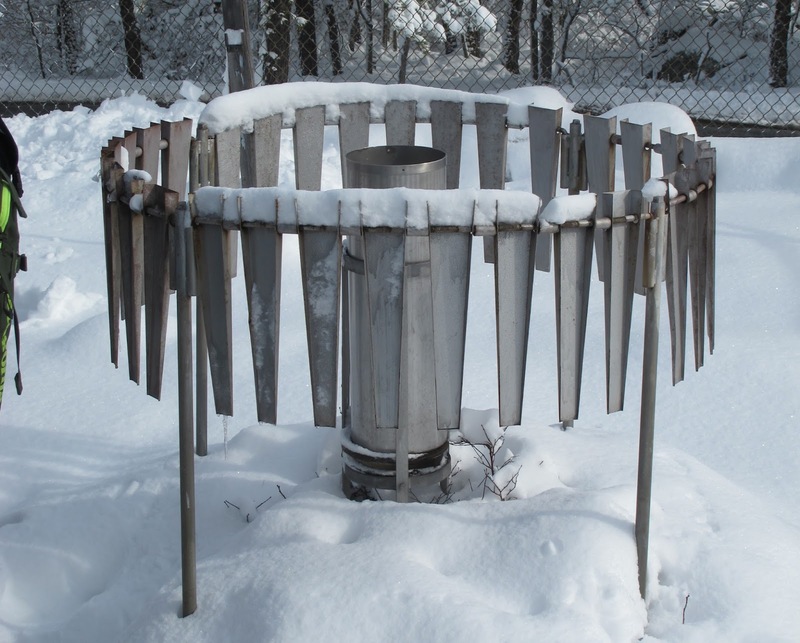 The Blue Hill Observatory is uniquely useful for our purposes because its scientists have incorporated earlier weather observations into their records, extending temperature data back to the 1830s and overlapping Henry David Thoreau’s phenology observations from Concord. For us, the key finding of the Observatory is that the temperature of Boston has been getting warmer over the past 133 years. 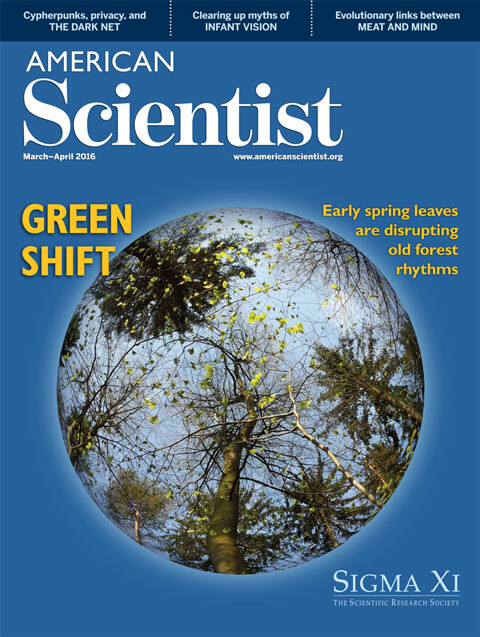 Dr. Richard Primack and I recently authored an article entitled "Spring Budburst in a Changing Climate" in the journal American Scientist; the article hits shelves next month! In the article, we describe the wide range of work the Primack Lab has done to investigate how climate change impacts the timing of leaf-out and other spring events in the temperate forests of historic Concord, MA and beyond. 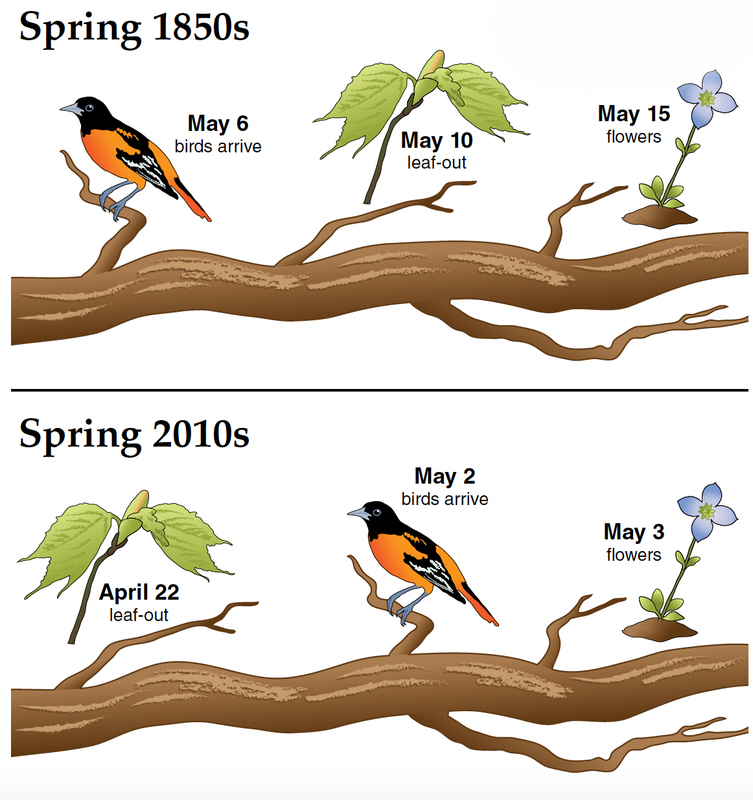 We summarize the key results found by past and present members of the Primack Lab through combining historic data sets, like the field notes of Henry David Thoreau, with current observations of spring phenology, as well as novel experiments. 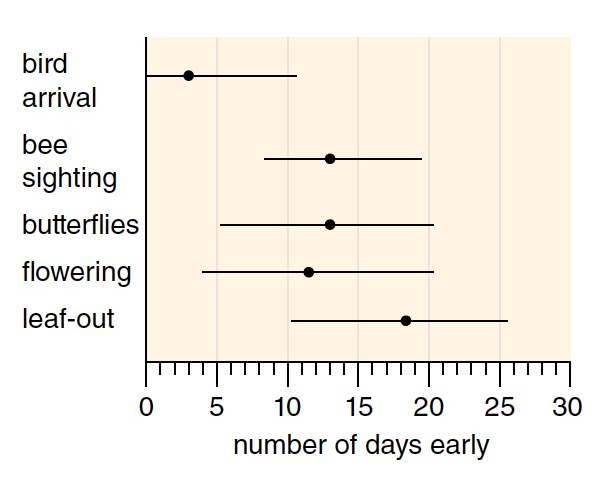 In addition to these taxon-level shifts, we delve into how species vary in their leaf-out times and responses to climate change, the benefits of leafing out early (i.e. 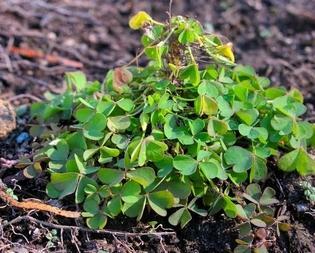 a longer growing season in which to photosynthesize) and the dangers of leafing out early (i.e. an increased risk of vulnerable young leaves encountering frost). We also identify some important next steps in the study of climate change and phenology, including a greater focus on autumn events like leaf senescence and fruit ripening. To read the American Scientist article, click HERE or e-mail gallinat@bu.edu for a PDF. In contrast to the white, snowy Christmas day that Thoreau experienced and that we typically expect in New England, record-breaking warm temperatures in autumn and December triggered a surprising flash of flowering throughout Concord and metropolitan Boston this winter. On Christmas day of 2015, a visitor to Concord could note the open pink flowers of Japanese quince in the center of Concord and the white flowers of hellebores in gardens. 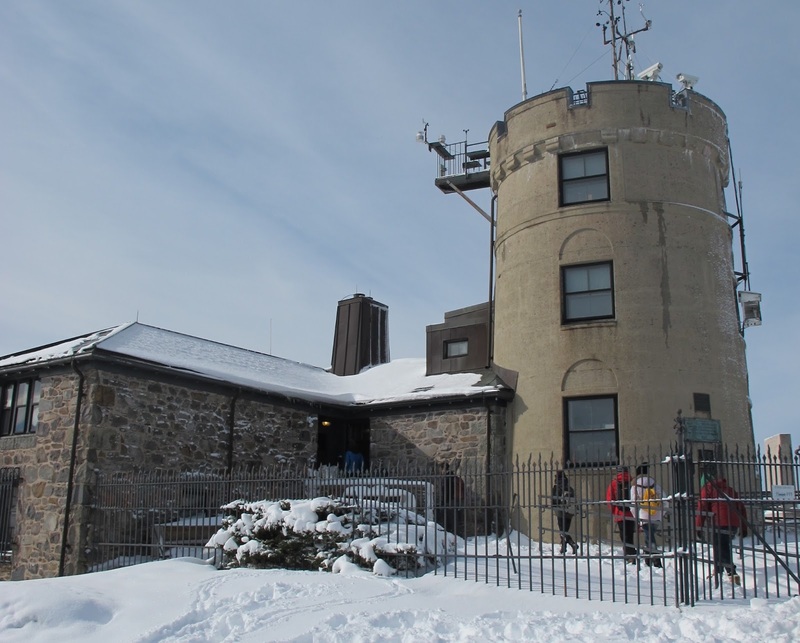 The Blue Hill Observatory reported that the temperature on Christmas day reached 64 degrees, beating the old record of 62 degrees and around 30 degrees warmer than normal for this time of year! This autumn in Boston is tied for the second warmest on record. As a result, some garden plants from the past year, such as Brussel sprouts and lettuce, were never killed by hard frosts, and were still growing and looking ready to eat on Christmas day. Around the edge of Walden Pond, red clover and common groundsel also continued to produce flowers throughout the autumn and into winter. After our astonishingly warm week of Christmas, our classic New England winter finally arrived. A snowstorm on December 29th deposited an inch of heavy slush on the landscape, and a cold night then froze the slush to the ground. So long, warm Christmas; so long, flowers—we’ll see you again in the spring!